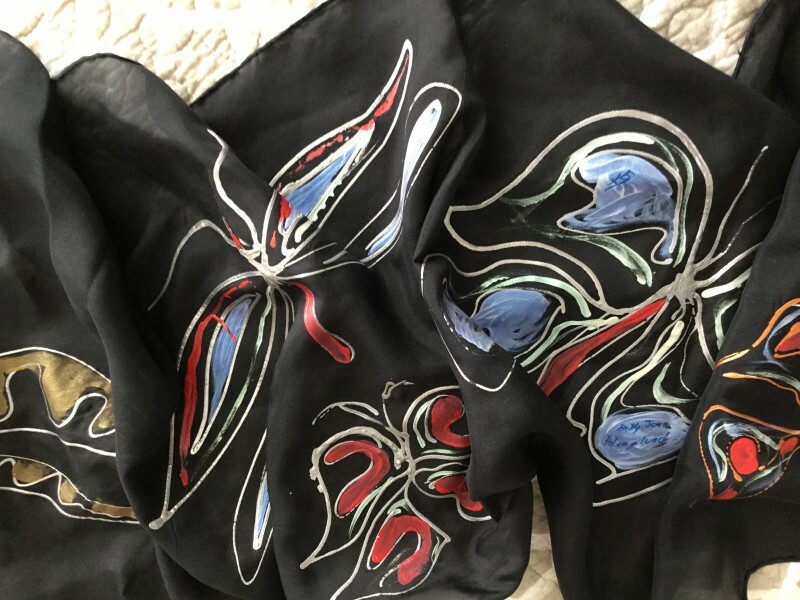 I have been using Silk Painting techniques for over two years with Dharma purchases. I started out of curiosity because my grandmother grew silk worms in Calabria Italy and then spun and dyed the silk. As an artist I am addicted to color and love to experiment. I created my own Stretcher frame from PVC and also use a quilting frame; I prefer clips and rubber bands to anchor the silk. My designs are freeform with and without water based resist. The Jacquard silk salt is great for making colors pop. I purchased the 40 inch steamer from an artist friend and cut my steaming time from hours to 30 minutes. I have created and sold my silk art within hours of posting or exhibiting it. Please see the description for a list of products used.